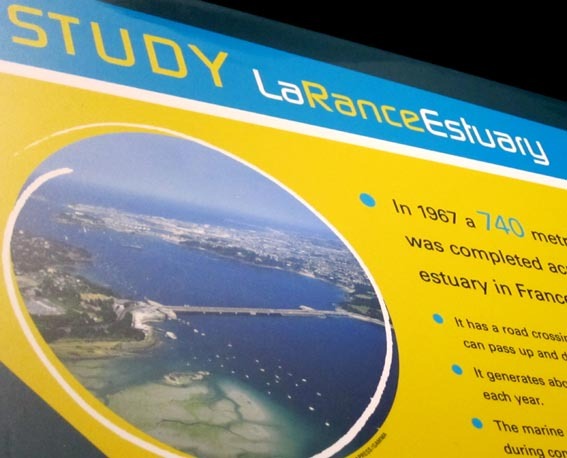 In 1967 a 740 metre long barrage was completed across La Rance estuary in France. > It has a road crossing and locks so that ships can pass up and down. > It generates about 480 GWh of electricity each year. > The marine ecosystem was badly damaged during construction. With the flow reduced water became stagnant. > Though the ecosystem is now restored no proper studies were carried out to monitor any changes that have taken place from the original ecosystem.